The Bucks County Quality Child Care Coalition is a group of individuals and groups committed to supporting quality early care and education for ALL young children in Bucks County. Meetings are held on the second Tuesday every other month at Holy Family University – Newtown. Send Coordinator Pat Miiller your name and e-mail address to receive meeting and other notifications. We work to support communication and collaboration to achieve our mission “Broadening and Bettering Early Care & Education in Bucks County.” We have a Facebook page to provide current updates; visit www.facebook.com/QCCCBucks to see some recent postings designed to inform, educate, and motivate the community about early learning. We work with United Way of Bucks County Success By 6 sponsoring Family Literacy. Family Math and other family events. 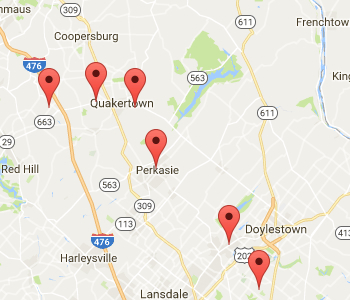 QCCC organizes quarterly meetings and regular communication among PA PKC grantees here in Bucks County, and is working to expand PBIS throughout Bucks County programs. 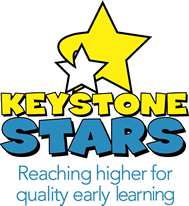 Serving as an Advisory Group for the Bucks County Community College early education department, we have supported delivery of credit bearing Professional Development at child care locations and a new certificate program to support Keystone STARS. We work with PHMC to provide professional development with PQAS and Act 48 credits for early educators through the PD Registry, and with ELRC #16. Collaboration with the Bucks County Intermediate Unit led to the establishment of the Tender Bridges Advisory Council; visit the BCIU website to learn more about this unique partnership among early educators, school districts, early intervention, and higher education (www3.bucksiu.org). Our partnerships with a wide-variety of groups and individuals including early intervention, the Bucks County Library System, the Bucks County Chapter of PennAEYC, The Bucks County Women’s Advocacy Coalition, and Pre-K for PA seek to broaden communication and collaboration supporting quality early education. You are welcome to join us!